A group of scientists are encouraging people to adopt a ‘flexitarian’ diet in order to combat climate change, promote food sustainability and reduce pollution. The recommendation comes a week after a groundbreaking United Nations report on climate change which warned we only have 12 years to keep the threat of global warming at a maximum of 1.5C. They said urgent action was needed to ensure the limit is not broken, which could lead to an increase of devastating floods, droughts and poverty across the world. Researchers at the Oxford Martin Programme on the Future of Food at Oxford University have now suggested that “climate change cannot be sufficiently mitigated without dietary changes towards more plant-based diets”. Dr Marco Springmann, from the University, warned that, currently, “without concerted action, we found that the environmental impacts of the food system could increase by 50-90% by 2050 as a result of population growth and the rise of diets high in fats, sugars and meat”. The plant-based diet in particular that the author’s specifically promoted is a “flexitarian” diet featuring no more than one portion of red meat a week, “modest” amounts of animal-based proteins like poultry, fish, milk and eggs, a reduction in refined sugar and at least 100g per day of plant-based protein sources. Since moving out of her parents to start a life in London five years ago, Nina, a 25-year-old design manager, made more of an effort to adopt this diet. Nina’s change in attitude towards meat seems to have a wider pattern in society over the past couple of years. In April 2017, a YouGov poll found that more than half of people (56%) no longer view meat as an essential ingredient to their meal. In 2016, just under a third (29%) of people said they had reduced the amount of meat in their diet over the year in the British Social Attitudes survey. In 2017, manufacturers Quorn attributed a large spike in their sales to the boom of flexitarianism. Sales of the meat substitute increased by 19 per cent, which the company said was “unprecedented”. As well as statistics and word of mouth, the flexitarian trend is also evident in popular culture. Search #meatfreemonday on Instagram and more than 100,000 results come up, with social-media users showcasing themselves at least attempting to reduce the amount of meat in their diet. Similarly, there are now a plethora of captivating documentaries on the meat industry which have been viewed by hundreds of thousands – like Cowspiracy, which has an 89% rating on Rotten Tomatoes, Joaquin Phoenix’s Earthlings and Food Choices, which is on Netflix. Cowspiracy was one of the films Nina watched which she says put her off consuming beef, as the film largely explores the damaging environmental impact from large-scale meat production. The environmental concerns of meat production were highlighted in Dr Springmann’s study: “Adopting more plant-based ‘flexitarian’ diets globally could reduce the greenhouse gas emissions of the food system by more than half, and also reduce other environmental impacts, such as those from fertilizer application and the use of cropland and freshwater, by a tenth to a quarter,” the report said. 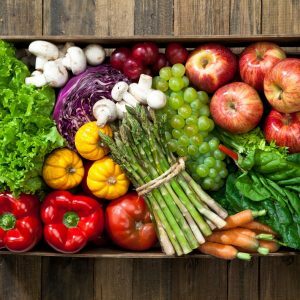 Another main issue sparking the move to flexitarianism over the past few years is cost which, according to the Vegetarian Society, accounts for the decisions of 21 per cent of those who have recently reduced their meat consumption. Mandy, a 27-year-old account manager, also now mainly adopts a flexitarian diet, largely due to the price of buying organic, free range meat. “It’s so expensive and I won’t just buy unethical meat for the sake of it being cheaper,” she told us. “I’ll either pay the cost of good meat or no meat at all… Since eating a lot more vegetarian products like Quorn, I’ve noticed that I’ve saved a lot more money. Food waste is another issue flagged in the University of Oxford’s recent report, with the researchers stating that – in addition to adopting more plant-based diets – food loss and waste needs to be halved. If achieved, the researchers estimate environmental impacts could be reduced by up to a sixth. Does the flexible nature make it more achievable? The main attraction of the flexitarian diet appears to be the ‘flexi’ prefix. It’s not absolute or permanent and is mouldable to however you want it to work in your own life. “I would find it quite easy to cut meat out all together but I also crave variety and I don’t know enough recipes to have a different veggie meal every day of the week,” Nina added. Similarly, Mandy says almost all of her home cooking is vegetable-based, but she’ll allow herself meat or fish if eating in a nice restaurant in the hope that it is “as ethically sourced as possible”. Whole Foods Market predicted flexitarianism as a rising food trend, back in 2017. It seems they were right, and their premonition was partly due to its flexible nature. 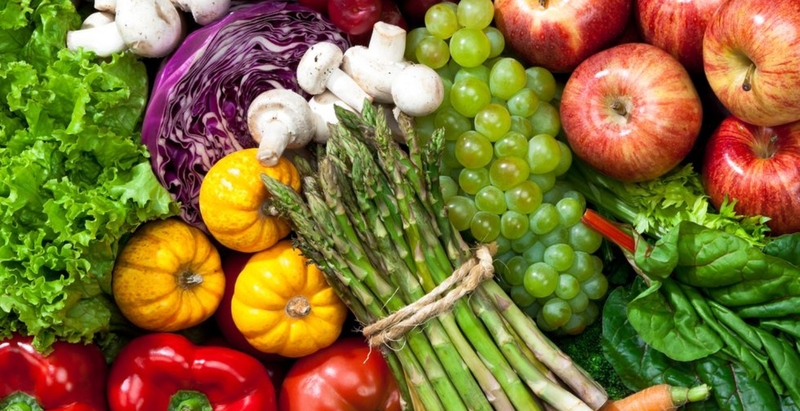 “While there are plenty of specific ‘special diets’ out there, people increasingly feel like there’s no need to pick just one eating identity,” a spokesperson for Whole Foods told Harper’s Bazaar at the time. “Consumers simply want to eat ‘cleaner’ or ‘healthier’ and they’re discovering the mix of foods that make them feel best without having to be so stringent about it. We’re seeing people go vegan before 6pm; 80/20 eaters who do paleo on weekdays; pescatarians who eat the occasional burger. There’s flexibility to celebrate food, but that comes with a mindfulness about what, when and how much we’re eating, and how the food is made. “Flexitarianism doesn’t mean any one thing like simply eating less meat. The trend is that people are discovering what works best for them,” they said. That appears to be true, there’s already so much pressure and remaining mixed messages about what we’re supposed to eat that starting to gradually make healthy or ethical changes is considered by many to be better than nothing. It is also a relatively unspoken assumption that as a society there is a danger to our health by eating too much meat. The NHS currently advises no more than 70g of red meat per day (that’s roughly the equivalent of one lamb chop, two slices of roast beef or one portion of bolognese sauce). Libby, a 26-year-old production assistant, readily admits that while she favours a vegetarian diet she still eats her fair share of meat and fish. Annabelle is the brains behind the UK’s flexitarian blog which she started in 2013 to bring attention to the effects of meat consumption on health, animal welfare and the environment. Despite initially being a “committed carnivore”, she now mainly eats a veggie diet but acknowledges the guilt-free advantages of flexitarianism. If you’re thinking about altering your diet, it is vital to know what nutrient-rich foods you might need to replace. Here’s what you need to know if you’re considering vegetarianism or going vegan. Join the pack at the new Wolf Lodge. Where to head if you’re after high art, architecture, food and museums.